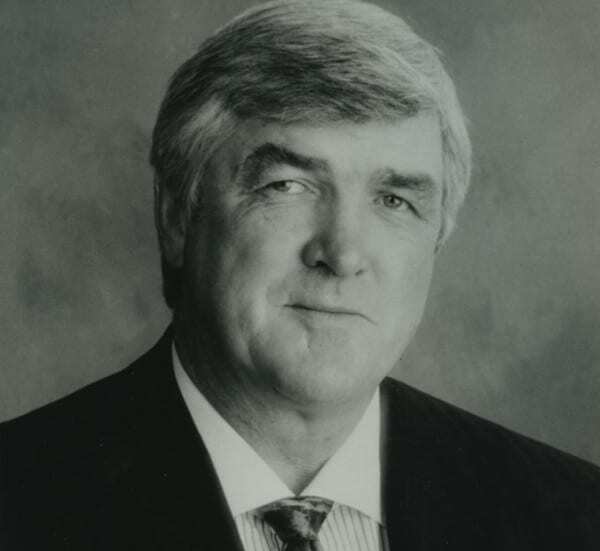 As a former NHL hockey player, coach and general manager in the NHL and internationally, Pat Quinn believed in community, and inspired those around him to do the same. Quinn will be remembered throughout Vancouver and across Canada for a tremendous hockey career. After retiring as a player he went on to coach and manage several NHL and national teams, lead the Vancouver Canucks to the 1994 Stanley Cup Final, drafting and mentoring Trevor Linden and Pavel Bure, and in 2002, helped bring Olympic Gold to Canada for the first time in 50 years. Beyond his success on the ice however, Quinn embodied a deep commitment to his community, a value that he instilled in the culture of the organizations he led and the players he mentored. A lasting aspect of that legacy is Canuck Place Children’s Hospice. Here at Canuck Place, we will always remember him fondly for the positive impact he had on BC’s children with life-threatening illnesses and their families, and the significant role he played in making the dream of pediatric palliative care in this province a reality. In an honour befitting “The Big Irishman” the Canucks have chosen March 17th, St. Patrick’s Day to honour Pat Quinn. The night will feature the unveiling of the new Pat Quinn Way on the east side of Rogers Arena, and a special pre-game ceremony. Canuck Place families and representatives will be in attendance in the Community Suite for the night.